This week we had a chance to visit the exclusive, literally hidden gem of Checkerboard Vineyards. Our kind host, Beth, gave us a tour of the vineyards, winery caves (with their inviting aroma and clinically pristine walls), and tasting space. 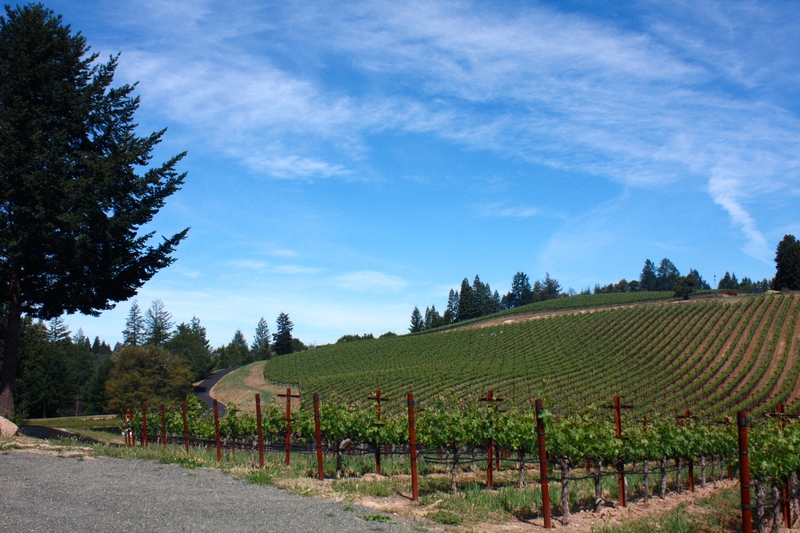 Checkerboard’s vineyards are all estate and at high elevation. 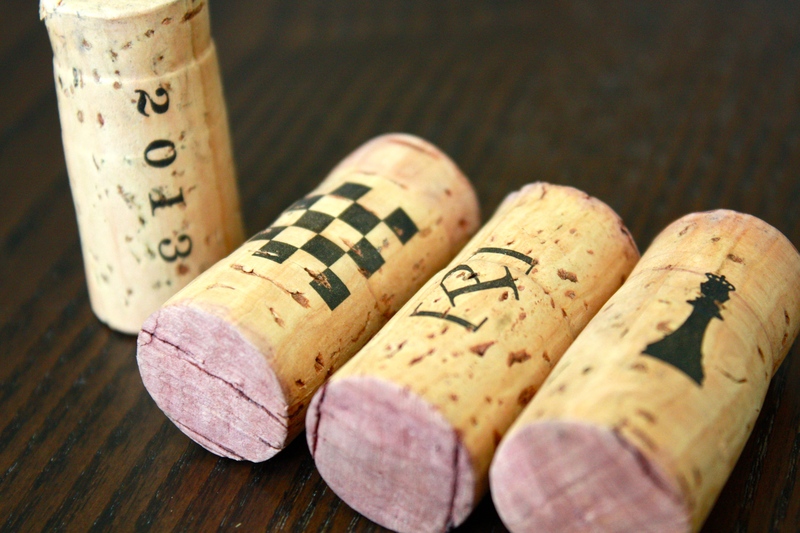 They grow Bordeaux varietals including Cabernet Sauvignon, Merlot, and Sauvignon Blanc. 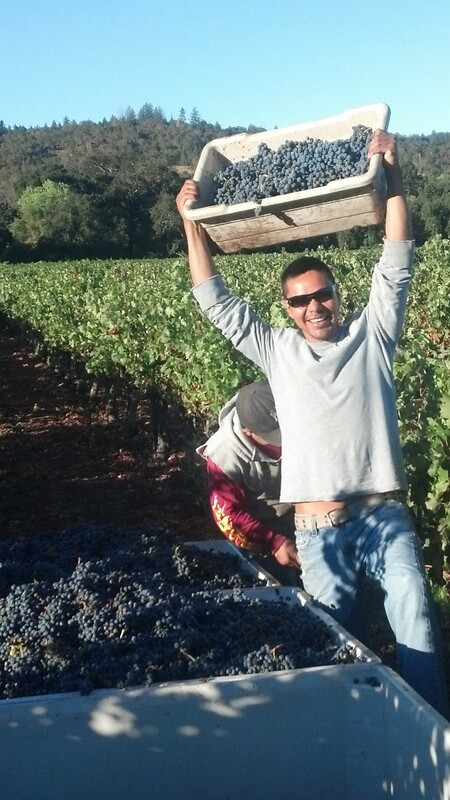 Each vintage is expertly crafted and cared for by hand, from vineyard to bottle. 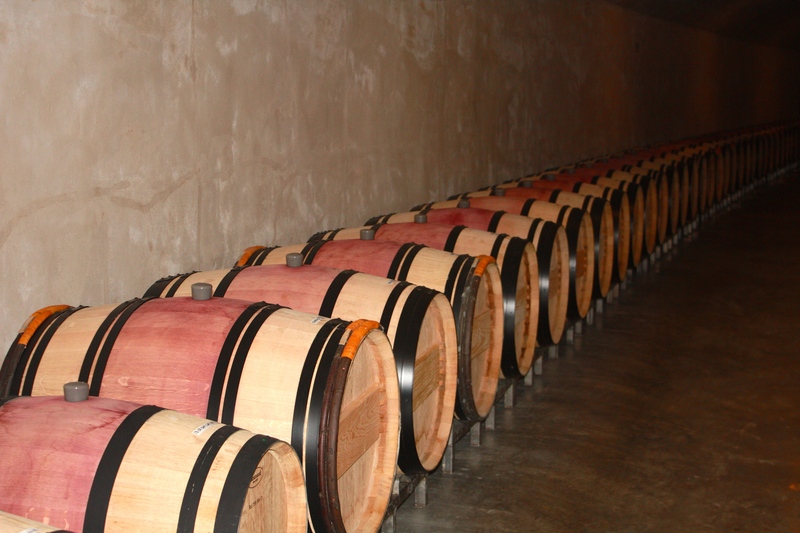 This row of barrels holds their 2013 red wines. 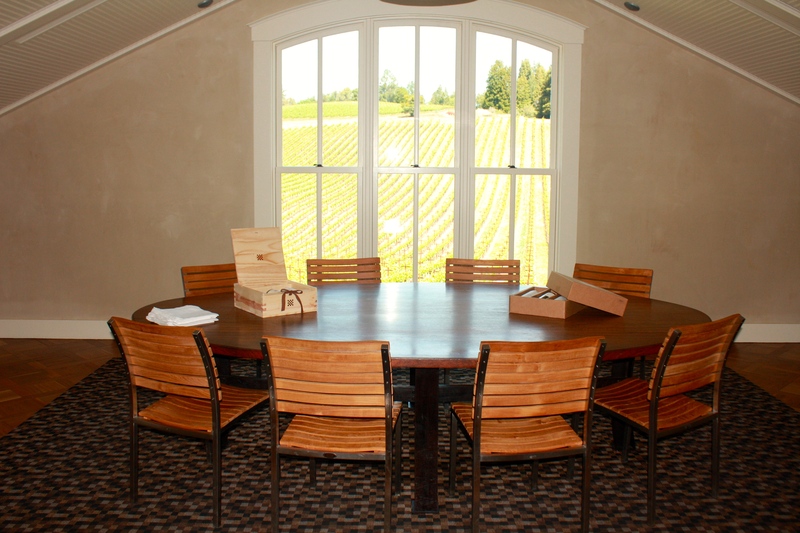 Tasting space with a view of the vineyards. Checkerboard’s offerings are based around their showcase Cabernet – current release is 2011 and after opening up was a stunning, serious Cab, dark, rich, and lush. Tastings are by appointment only.